Graciela McGlynn, fondly known as “Dada” by family, friends and clients who have become close friends, has been in the real estate business for 21 years. She understood her passion for selling homes at the young age of 21 and has assisted hundreds of clients achieve their real estate goals . 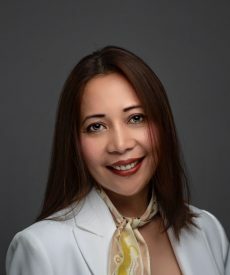 She has sold properties in 2 different countries, served international markets in the past and is currently… serving local markets in Gainesville -Alachua and surrounding areas. From ground-zero city development to upscale high-rise buildings to residential homes, Dada commits herself to learning every aspect of the product, every skill required and has been labeled as a ‘closing machine’. Her efficiency and great attention to detail do help her deliver. Dada particularly enjoys working with first-time home buyers and clients who just migrated to the US. She says that helping first-time home buyers brings rewards that can’t be measured in dollars and cents. The challenge of finding the right home, combined with the satisfaction of helping people realize their dreams of home ownership, keeps her looking forward to each new day and each new client. She is highly motivated and driven to produce results for her sellers and buyers. Dada is at home with diversity and is very effective in servicing the needs of her foreign-born clientele. Having migrated to the US herself, she is familiar with the intricacies of residency and naturalization. She embraces the diversity in our multi-cultural environment and she finds herself enthused to learning more from her clients. She is bi-lingual and speaks Tagalog fluently. She has taken time and effort to learn the mortgage business. She prides herself in being savvy with mortgage financing which builds confidence among her clients. Being married to a mortgage loan specialist who has been in the business almost 30 years is a sure benefit to her real estate endeavors. Dada is also a registered nurse and is board-certified in psychiatric nursing. That arms her with better listening skills and understanding of her clients’ emotions. Her compassion to take care of people is innate in her and extends to both of her professions. Dada is married to Gainesville-born Alan McGlynn. She has a son attending FSU, a 7-year-old daughter and a 4-year-old son. In her spare time, she is serious about throwing parties; she cooks, bakes cakes, and makes fondant to decorate or sculpt pastries. She also loves to do arts and crafts. If another trade would have been possible to add to her skills, she would be a party/event planner, too.